SAN JOSE, Calif., July 26, 2018 /PRNewswire/ -- Sprig Electric today announced the appointment of Rod Beckmen as the new Group Executive to lead the daily operations of their San Francisco office. 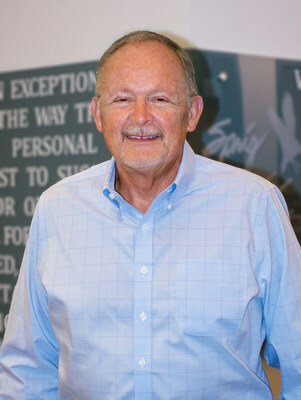 Beckmen brings over 40 years of leadership experience in the construction industry to Sprig. "As a team, we selected Rod as our new Group Executive because we believe in his skillsets, ethics and strategic intuition required to successfully lead our San Francisco office into the future. In addition to his career accomplishments, his genuine personality and approach align well with our culture. We are excited to see great things happen under Rod's leadership," said Matt Nelson, Chief Project Management Officer. Rick Clinton, who has been the interim Group Executive for Sprig in San Francisco, will now focus his efforts on the company's overall marketing and business development strategy as their Executive Vice President. Starting today, Beckmen will be the primary contact for the San Francisco office and assume full operational duties. Clinton and Beckmen will continue working together in a marketing and business development capacity for the San Francisco office. "I'm personally excited to work alongside Rod and help him succeed with our people and our clients. Sprig is very committed to our business in the City and with the addition of Rod, it only helps us provide better customer service to our trusted clients and partners," said Rick Clinton, Executive Vice President. Rod Beckmen possesses over 40 years of construction experience and has a successful track record in the many roles he has held over the course of his career; ranging from estimating and project management roles to supervisory and executive level positions. Beckmen holds a Bachelor of Science in Electrical and Electronics Engineering from the University of Washington and is a U.S. Army Veteran. Beckmen's industry experience and knowledge combined with his emphasis on personal service gives him the necessary tools for success in the highly competitive San Francisco market. Sprig Electric is a Silicon Valley-based electrical contractor specializing in design-build services for electrical, low voltage, controls, fire & life safety and energy solution systems. Sprig was founded in 1970 with a commitment to exceed expectations in customer satisfaction, craftsmanship and safety. Ranked 25th in the U.S. by EC&M for 2017, Sprig continuously provides their customers with a partnership that brings value and success to all stakeholders. For more information on how Sprig can service you, visit www.sprigelectric.com.